Studio One and Studio One Artist were designed with PreSonus interfaces in mind. If you own a PreSonus interface, it is already integrated into Studio One, so setup is quick and easy. When Studio One is launched, by default you will be taken to the Start page. 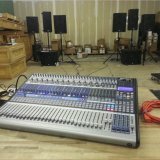 On this page, you will find document management and device configuration controls, as well as a customizable artist profile, a news feed, and links to demos and tutorials from PreSonus. If you have an Internet connection on your computer, these links will be updated as new tutorials become available on the PreSonus Web site. Shows Active Audio Driver and Sample Rate and Provides Quick Links to Configure Audio and MIDI. In the middle of the Start page, you will see the Setup area. 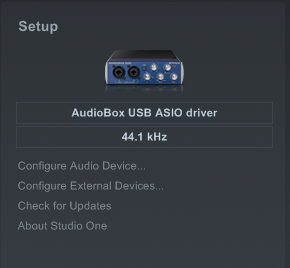 Studio One automatically scans your system for all available drivers and selects a driver. 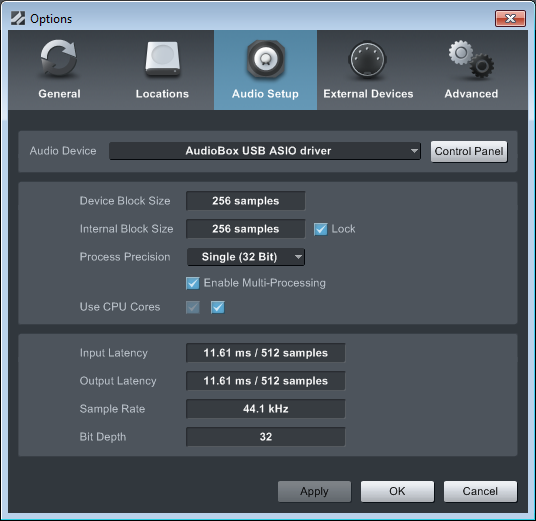 By default, it will choose a PreSonus driver if one is available. If you do not see your PreSonus interface’s audio driver on the Start page when you launch Studio One, click on the "Configure Audio Devices" link in the Setup area to open the "Audio Setup Options" window. In the Audio Device menu, select the driver for your PreSonus interface. Click the Apply button and then click OK. Your audio device should be ready to use! How do I master a song in Studio One 1.6.5?